From New York Times bestselling author Kylie Scott comes the final installment in the Dive Bar series. Bartender and all-round bad boy Eric Collins has come to a crossroads. It's time to take life seriously and maybe even attempt to settle down. If only the person he was hoping to settle down with hadn't turned out to be pregnant. Starting over in a small town, Jean is determined to turn her wild lifestyle around and be the kind of mother she always wished she'd had. Since local bar owner and hottie, Eric, is now determined to steer clear of her pregnant self, it should be easy. But when she goes into labour during a snowstorm, it's Eric who comes to the rescue. There seems to be a bond between them now, but is it enough? And can Eric give up his ways to be the man Jean needs? The seductive final instalment of New York Times bestselling author Kylie Scott's Dive Bar series. 5.0 out of 5 starsBrilliant addition to the series - loved that it was from the male POV for once! I absolutely loved this! The first book in the series (including the previous linked 'Stage Dive' series) from the man's perspective, and it was brilliantly written! I've read a lot of series that do alternating POVs so you get to see both sides, and having read this book from Eric's POV it was glaringly obvious that the author missed out by not doing this earlier. It's clear that she can write the male perspective and I'm hoping she does this more often or considers writing a dual POV romance in the future. Eric and Jean's story was a fun, slow burn friends-to-lovers romance. Eric is immediately attracted to Jean but gets a shock when she stands up from the table she's sitting at and reveals her pregnant belly. Eric immediately back tracks and shows us to arrogant and thoughtless so-and-so we've seen in the previous books in this series. But as time goes by, they get chatting and a series of circumstances see Eric at the Hospital with Jean when she gives birth to Ada. The story progresses from there with Eric showing another side of himself, and leaving his old habits behind to be a friend to Jean and help her out. I loved their chemistry and the banter between them. I got frustrated with Nell for being so negative towards Eric - seeing it from his POV it was no wonder he acted the way he did a lot of the time - if your friends and colleagues have no faith in you, how can you have faith in yourself?! Brilliant series - highly recommend it and can't wait for more in this series and others by this author. Kylie has released another hit, although due to the length of time between releases it took a while to get back into the Dive Bar “groove”. Ionce I found it I couldn’t put down. Beautiful story that is exceptionally well written. Loved how Eric grew & matured over the course of the book; & how Jean's & his relationship came together. I was left with a very big smile. Books 1-3 of the stage dive series are my very favourite by this author but i do love everything she writes. Very enjoyable. Yet again Ms Scott has given us a story that is a wonderful blend of humor and romance that just works. I loved how Eric works to better himself and just falls in love with little Ada, while falling for her mum. I really wanted to slap Nell throughout the book - though at the end she was better. A wonderful instalment in the Dive Bar series. 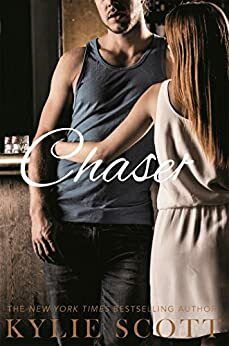 I love Kylie’s writing style and her ability to make you connect with her characters. I've been waiting for the next installment and it didn't disappoint! Can't wait for the next one:) You should start with Lick and follow the Stage Dive series first! Worth every word!